Our office based staff, have a combined 35 years experience and can assist you with subsurface anomalies, hazards and concerns. It is our responsibility to recommend the best methodologies and approaches to move your project forward, in the event of a Buried Unknown, which may delay design or construction works. A survey allows pipework, foundations or piles to be laid quickly and easily by pinpointing the depth of bedrock and any subsurface anomalies. A range of subsurface anomalies such as abandoned services, evidence of previous developments, reinforced concrete, among other hazards are common. Specialist Geophysical techniques allow GEOTEC to search to a depth of 6m, which have proved invaluable to clients. 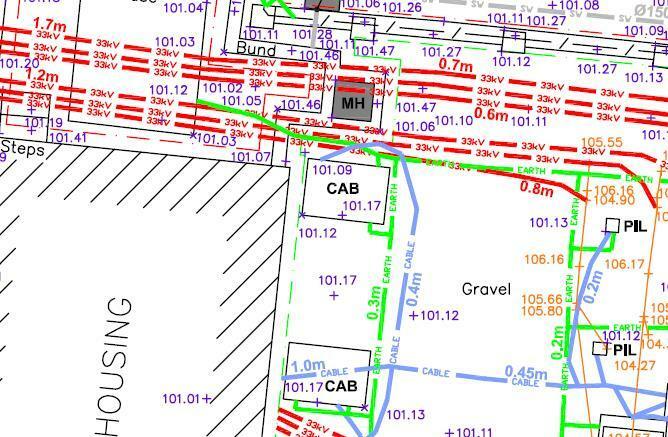 Accurate mapping of sensitive underground services and detailed topographical surveying across utility distribution sites is crucial to design works and dramatically reduces the amount of digging required, providing excellent Health & Safety data, whilst allowing 'permits to work' to be issued. 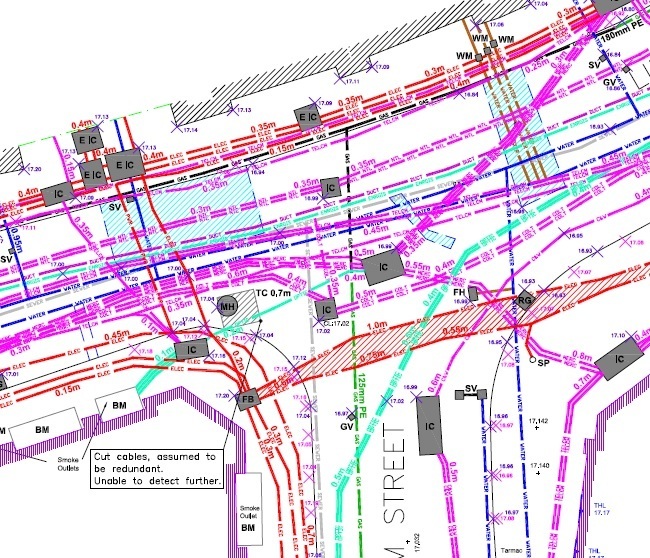 Water pipes and other crucial services, such as fibre optic communications and telemetry are often laid in complex patterns with little or no record maintained of their location. Being mainly non-metallic in structure makes them invisible to CAT and Genny machines. GEOTEC can provide a complete picture to facilitate detailed design and safe construction.